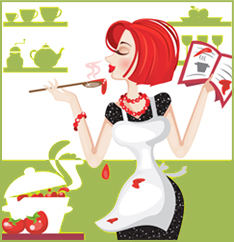 Heston Blumenthal is – alongside Ferran Adria – the poster boy of molecular gastronomy. A self-taught chef, Blumenthall is renowned for his innovative approach to flavours and textures. He runs the Fat Duck in the Berkshire village of Bray, which has three Michelin stars, as well as two pubs in the village, and Dinner at London’s Mandarin Oriental Hyde Park hotel. Arguably his most famous dish is bacon-and-egg ice cream. A custard of scrambled eggs is churned to make an ice cream, with bacon added towards the end of the process. It is served a s a dessert, often with French toast. Rene Redzepi is at the leading edge of a Nordic food renaissance. Head chef at the two-Michelin-starred Noma in Copenhagen, Redzepi focusses on local ingredients presented in novel, inventive formulations. This approach has led to Noma being crowned the best restaurant in the world at the San Pellegrino awards for both 2010 and 2011. One of his signature dishes is fresh radishes plated in hazelnut soil. 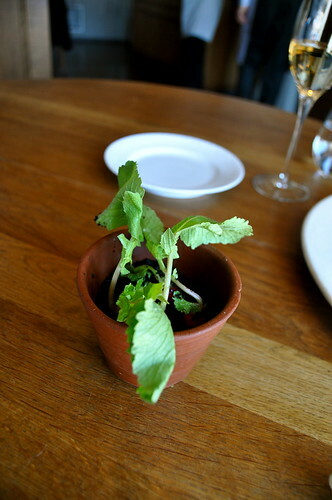 Presented in an actual flower pot, the radishes and their leaves are eaten with the crumbling soil and a hazelnut emulsion. As the son of culinary titan Albert Roux, Michel Roux Jr had a lot to live up to. 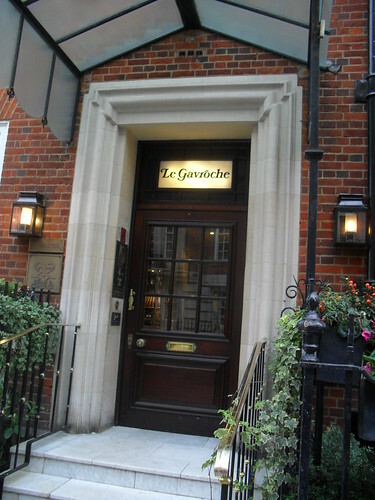 The two Michelin stars his restaurant Le Gavroche in London has maintained for many years testify to his success. Taking over the restaurant from his father and uncle, Michel Roux Jr has been head chef since 1993. Among his signature dishes is Soufflé Suissesse, in which a cheese soufflé is baked on double cream to provide a counterpoint between sweet and savoury flavours. Michael Caines apprenticed under both Raymond Blanc and Joel Roubechon before becoming head chef at Gidley Park in Oxfordshire. Despite losing one of his arms in a car accident, Caines built the restaurant’s reputation up until it gained two Michelin stars. He has subsequently opened a variety of restaurants across the United Kingdom, while he was awarded an MBE in 2006. One of his signatures is a ballotine, whereby a duck leg is de-boned and stuffed with the duck’s liver before being fried. Pierre Koffman, who – although a proud Frenchman – has been a mainstay of the London restaurant scene in the United Kingdom for over 30 years. He began his career working for the Roux brothers at Le Gavroche before opening La Tante Claire in London in the late seventies. The restaurant quickly earned three Michelin stars. It closed in 2003 and Koffman retreated from the front-line for some years before re-emerging with Koffman’s at London’s Berkeley Hotel in 2010. His most famous and revered dish is his pig’s trotters. The porcine feet are braised in veal stock for a long time to make them unctuous, and stuffed with sweetbreads, morel mushrooms and chicken mousse – there’s a good reason he’s known as the “chef’s chef”. With all these chefs still working, and crafting their signature dishes, there is no better time to book and table and revel in their expertise.